A small approx. 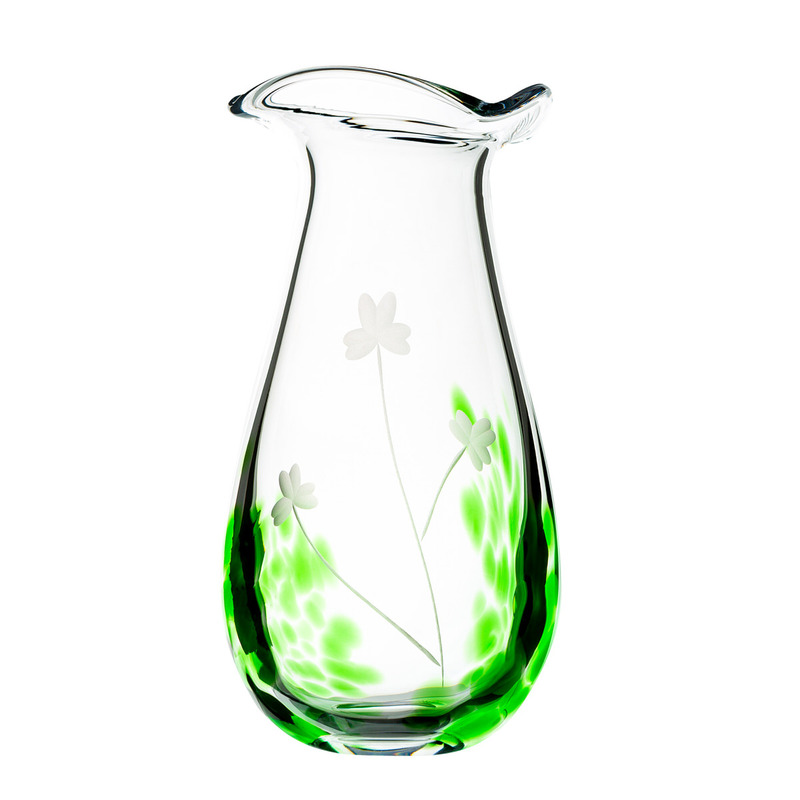 6″ tall posy vase designed with the 3 fonts of the shamrock and decorated with emerald green colouring and shamrock etching. A small approx. 6″ tall posy vase designed with the 3 fonts of the shamrock and decorated with emerald green colouring and shamrock etching. A beautiful gift from Ireland !